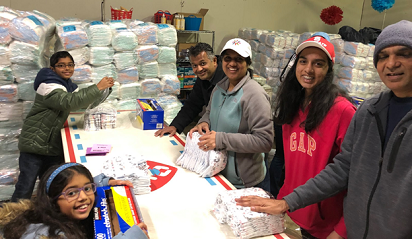 Jain Study Center of North Carolina (JSCNC) had about 5 families from JSCNC along with other volunteer groups to participate in the Diaper Bank event. It was wonderful to see everybody work together so well as a team. In two hours, they managed to help over 200 babies get the supplies they need for healthy beginnings to their lives. Here are some pictures from the event. 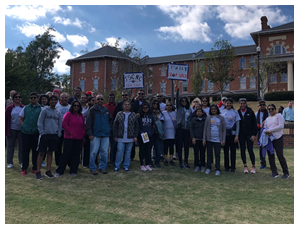 Jain Study Center of North Carolina(JSCNC) is a proud participant of Greater Triangle Area Crop Hunger Walk 2018. They had a great turnout this year with 49 JSCNC members participating in the walk. Donations from JSCNC community was $2,833 which far exceeded their initial goal of $2000. 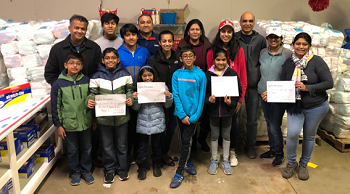 Jain Study Center of North Carolina (JSCNC) participates in Adopt-A-Highway cleanup twice a year. The statewide Adopt-A-Highway program was established in 1988 and is a joint effort between community volunteers and NC Department of Transportation to keep our roads clean. 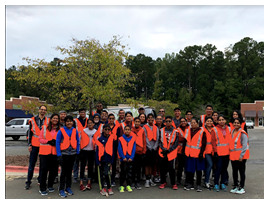 On October 14th, JSCNC participated in 2018 Fall Cleanup and adopted a stretch of Highway 54 in Cary between Morrisville Parkway and Airport Boulevard. This stretch is named in honor of Mr. Lalit Banker. 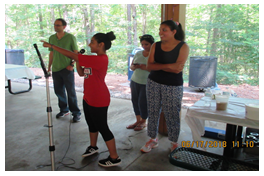 On June 17, Jain Study Center of North Carolina celebrated Father’s Day with an outdoor picnic at Kiwanis Shelter in Bond Park. People played games, children presented a short paragraph honoring their Fathers, had lunch and enjoyed a day with family. 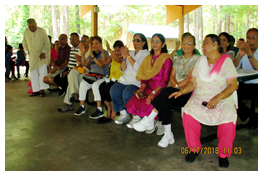 Jain Study Center of North Carolina celebrated Mother’s Day on May 20, 2018. The event was followed by Aarti and lunch. JSCNC is also planning an outdoor picnic to celebrate Father’s Day on June 17th, 2018. 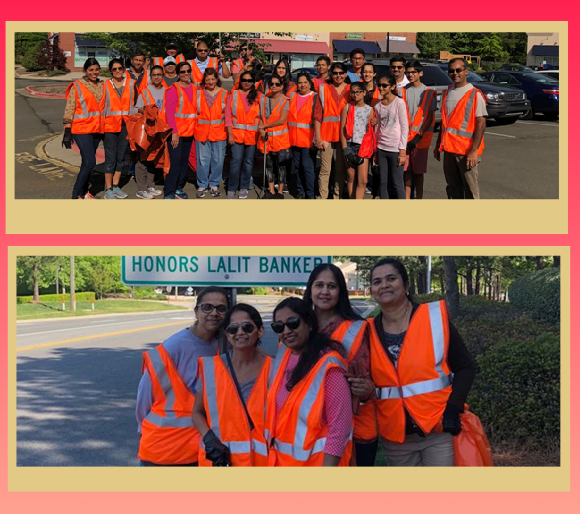 Jain Study Center of North Carolina participates in Adopt-A-Highway cleanup twice a year. The statewide Adopt-A-Highway program was established in 1988 and is a joint effort between community volunteers and NC Department of Transportation to keep roads clean. JSCNC adopted a stretch of Highway 54 in Cary between Morrisville Parkway and Airport Boulevard. Spring Highway clean-up this year was completed on April 28th. JSCNC also celebrated Mahavir Jayanti on April 22nd. 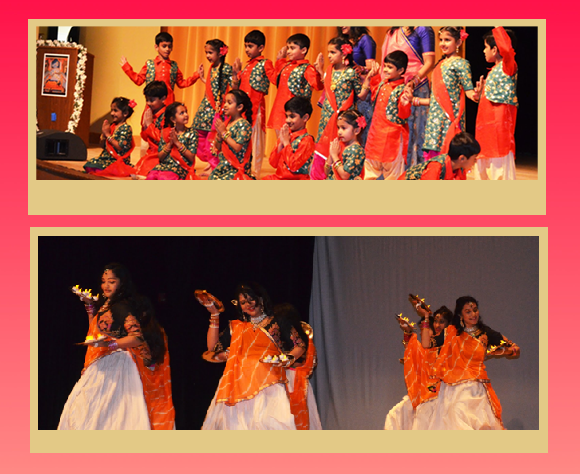 Total 475 people attended the event and participated in various performances. The event was regarded as a success. 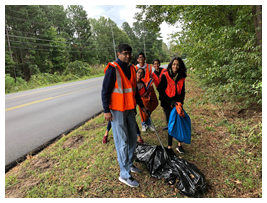 Jain Study Center of North Carolina (JSCNC) participates in Adopt-A-Highway cleanup twice a year. The statewide Adopt-A-Highway program was established in 1988 and is a joint effort between community volunteers and NC Department of Transportation to keep roads clean. On October 14, JSCNC adopted a stretch of Highway 54 in Cary between Morrisville Parkway and Airport Boulevard. This stretch is named in honor of Mr. Lalit Banker. 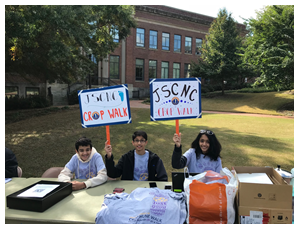 JSCNC also participated in Greater Triangle Area Crop Hunger Walk 2017. 25 members from community participated in the walk. Donations from JSCNC community was $1600. 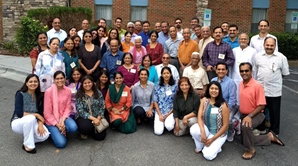 Jain Study Center of North Carolina and Jaina Education Committee jointly held a 3 day workshop for learning the “Fundamentals of Jainism and how to apply Jain principles in daily life” in Raleigh, North Carolina on October 6-8, 2017. Forty eight (48) people from 13 different states and majority below 50 years of age and born/raised in US attended this workshop. Simple Vegan food was served all throughout the Workshop in Recyclable Paper products. The workshop was moderated and presented by Pravin K Shah, chairperson of JAINA Education Committee. The topics included were Fundamental concepts of Jainism, Four Anuyogs and their limitations, Six Dravyas, Nine Tattvas, Karma Philosophy Five Samvays and the concept of Anekantwad, Holistic Spirituality, which includes Ahimsa, Compassion, Health, Environment, and Spirituality. A detailed explanation on “How one can live a life with minimum violence” was provided. A brief overview of Jain Agam scriptures was also included during this workshop. Diversity of World Religious Expressions covering a brief overview of Hinduism, Buddhism, and Jainism and a brief comparison between Western (Judaism, Christianity, Islam) and Eastern Religions were discussed. The workshop presentation (ppt) files can be downloaded from the following link. The link also contains pre-requisite reading material files, which you can also download. Jain Study Center of North Carolina Paryushan Puja on the first and last days, Bhavana and finally Samvatsari. They had great Puja and Bhavna with singers and musicians. Here are some photos. JSCNC also organized a volunteering event at the Durham Food Bank last month. Below are some photos from the event. Jain Study Center of North Carolina celebrated Mahavir Janma Kalyanak at the HSNC Cultural Hall on Sunday April 30. With a record turnout of about 450 people, and an active participation in puja and the program, the event was regarded as a success. The army of volunteers, the many sponsors, and the calibre of children, youth and adult performances underscored their hard work and dedication put behind this event. The Jain Study Center of North Carolina was established in September 1979. Its main purpose is to study and understand Jainism, Jain philosophy, rituals and literature to educate children. Our center participates in Adopt-A-Highway cleanup twice a year. The statewide Adopt-A-Highway program was established in 1988 and is a joint effort between community volunteers and NC \ Department of Transportation to keep our roads clean. JSCNC adopted a stretch of Highway 54 in Cary between Morrisville Parkway and Airport Boulevard.